And so September has drawn to a close, and late summer has slipped into early autumn. The days are still sunny, but just that bit chillier - bare feet are still ok, but cardigans are definitely needed, at least in the evening. Here at 11NG our final departing student is in the middle of departing, and our final newcomer will arrive in a couple of days' time. I see risotto is at the top!! 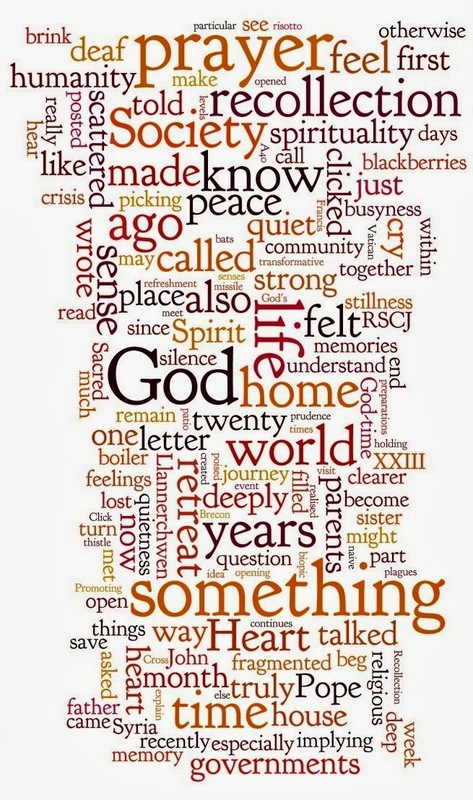 I love the way God is always so big in your Wordles, even such a busy one as this. Happy October!